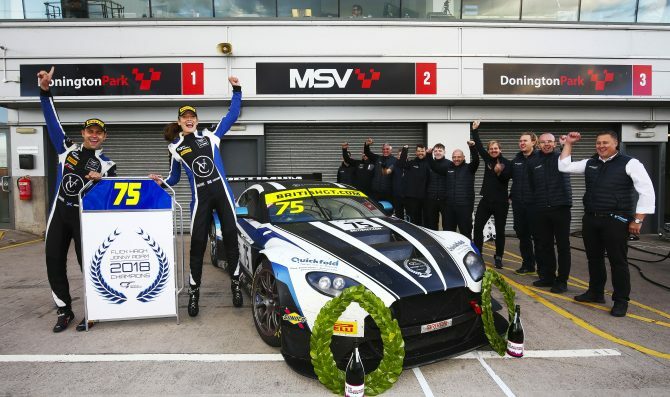 History was made at Donington Park as Flick Haigh and Jonny Adam finished fourth in their Optimum Aston Martin to claim the 2018 British GT title. 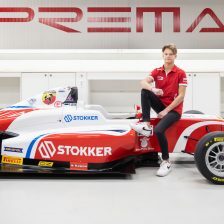 Haigh becomes the first woman to win the series’ premier class whilst Adam now stands alone as the only driver to win three overall championships. 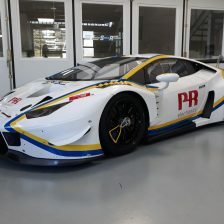 Jon Minshaw and Phil Keen took a second victory of the season in the Barwell Motorsport Lamborghini after finishing second, but benefitting from a post-race 30-second time penalty handed to Mark Farmer and Nicki Thiim. 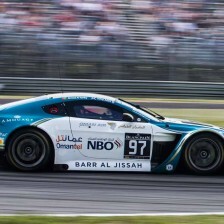 The TF Sport Aston Martin duo therefore finished runner-up with the podium completed by ERC Sport’s Mercedes-AMG shared by Lee Mowle and Yelmer Buurman. Championship leaders Haigh and Adam started fourth while closest title rivals Minshaw and Keen led the field away from pole position. Framer and Thiim, who also retained a chance of snatching the crown, lined up fifth. 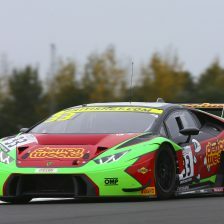 A clean getaway from Minshaw helped maintain the Lamborghini’s lead into Redgate ahead of team-mate Sam De Haan, which soon had a gaggle of cars queued up behind. 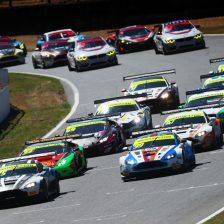 Haigh and Jetstream Motorsport’s Graham Davidson swap third place, before a contact between Davidson’s Aston Martin and De Haan down the back straight. Davidson eventually gained second position with a great move into the Melbourne Hairpin but was soon forced to relinquish it as he headed into the pits with damage. 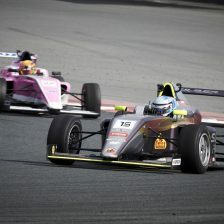 Moments later, the Safety Car was deployed due to oil on the circuit at turn one, which neutralized the race and cancelled out Minshaw’s sizeable lead. Once the clean-up was complete and racing resumed, Minshaw quickly set about rebuilding his advantage whilst De Haan fought off the Aston Martin of Farmer, who had also passed Haigh. 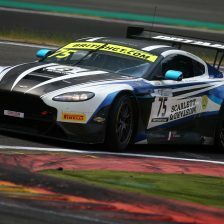 But TF Sport’s V12 Vantage quickly found a way through into second whilst, behind, contact between Andrew Howard and Chris Buncombe spun both the machines around. Behind De Haan, Rick Parfitt Jnr closed on Haigh and Derek Johnston in the battle for fourth before contact between the Bentley and Aston Martin saw the latter eventually have to pull off the circuit with terminal damage. 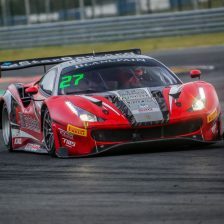 It was a disappointing end to the year and British GT career of 2016 champion Johnston. The pitstops began after 60 minutes with the title fight well and truly in the balance. Minshaw handed over to Keen, who duly rejoined in the lead ahead of Thiim. 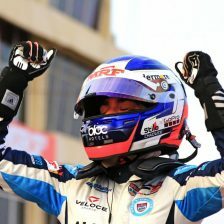 Jonny Adam, having served his 20s pitstop success penalty, began the stint superbly by fighting past a number of rivals and finding himself in fourth overall, just behind Ryan Ratcliffe who had taken over from his Team Parker Racing co-driver Parfitt Jnr. Thiim, meanwhile, was closing on Keen. 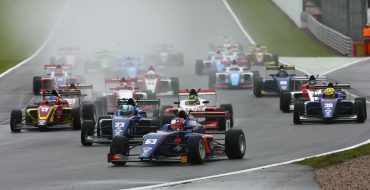 The Dane made his move heading out of Redgate and through the Craner Curves, which put him and Farmer on course for a third victory of the season. 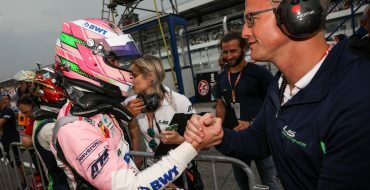 That was until a 30-second penalty for track limits infringements was handed down in the final minutes, which gave Minshaw and Keen victory, as well as second in the standings for a third season running. 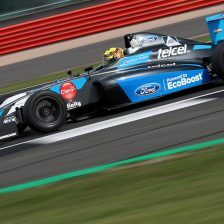 That late penalty didn’t alter the outcome of this year’s Teams’ championship, which was reclaimed by TF Sport after losing the title to Barwell in 2017. 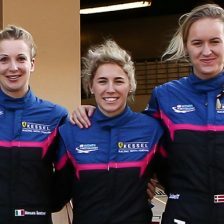 Such was the advantage of the leading duo that the time penalty only dropped Thiim and Farmer to second ahead of ERC Sport duo Buurman and Mowle. 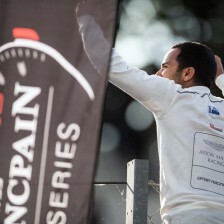 Haigh and Adam took fourth to secure a historic title with the Howard/Darren Turner Beechdean AMR Aston Martin placing fifth. 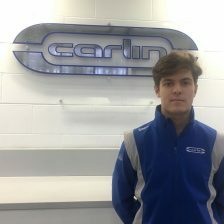 Sixth belonged to De Haan/Jonny Cocker, while Ratcliffe brought the Bentley home in seventh. 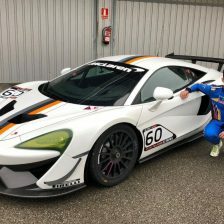 The top-eight was rounded out by the sister Team Parker machine shared by Ian Loggie and Callum Macleod whose race was compromised by a stop and go penalty in the opening stint.